Let the Summer Festivals Begin! The summer brings one of my favorite string of events – the cultural festivals. Here in Wilmington, DE, the season kicks off today with The Greek Festival – OPA! The Greek Festival is my absolute favorite of them all. Not only because I love Greece and have fond childhood memories of visiting as a teenager, I LOVE Greek food and The Greek Festival has it in abundance. For whatever reason, Wilmington, DE, does not have many Greek or Middle Eastern restaurants. Some have come and gone but by and large, there is no place to go on a regular basis and get a Gyro. Enter the Greek Festival! 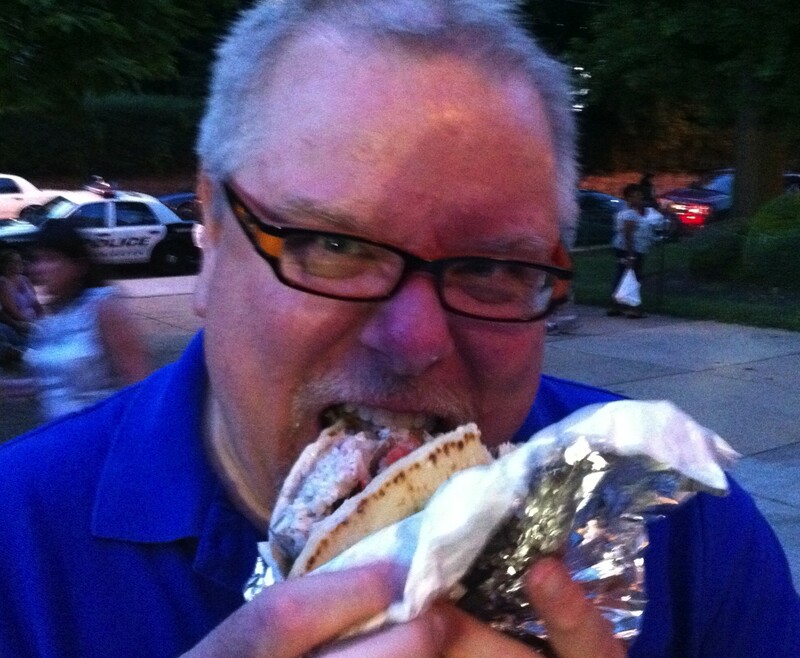 Although all of my favorite Greek foods are available at the Greek Festival from Spanakopita, Souvlaki, and Pastitsio, the item I look most forward to is the Gyro. And I think most of Wilmington agrees with me because the line for the Gyro stand is always the longest. They are that good! From the salty, juicy lamb and beef, the freshness that the tomato and onion adds, to the tangy Tzatziki sauce, it is a taste sensation I look forward to all year! My friends and I get there as early as we can to beat the line – if possible. We get our food and beverages, then we gather on the steps of the church to eat our fantastic treats. The other thing I love about this festival is that you see people there you haven’t seen in forever. Sitting on those church steps, right near the entrance of the festival, the whole world passes you by. You see people reconnecting and catching up, eating, drinking, and dancing together. It is another great example of how food brings people together. I would be remiss if I didn’t mention the pastries! All the favorites, including baklava, are there and they even sell them in bulk so you can take them home and enjoy them for as long as they’ll last. I find endless inspiration in the food that I experience at these cultural festivals. I grew up overseas and was exposed to many different national dishes in my formative years. These festivals bring back wonderful childhood memories and also inspire me to add different flavors to my cooking. Fusion of cultural dishes has become more and more popular over the last decade as chefs travel to different countries and bring flavors back to their regional dishes. I love the opportunity these summer festivals provide to do the same thing without having to travel too far. Next festival on the heels of the Greek Festival – The Italian Festival – bellissimo! Enjoy your local summer festivals!